An 8th green arrow in a row sees us up to another season high of 21,336th, a rise of about 10k. Kun obviously did his bit, as did Son, elsewhere Jimenez starred with a 9, Pogba got a sublime assist, as did Doherty (less sublime though!) and Wan-B and Shaw did their bits with clean sheets. The rest simply made up the numbers to see us end up on a fairly respectable 88 points, 23 above the average. We go into this week with 1 free transfer and £0.3m in the bank. 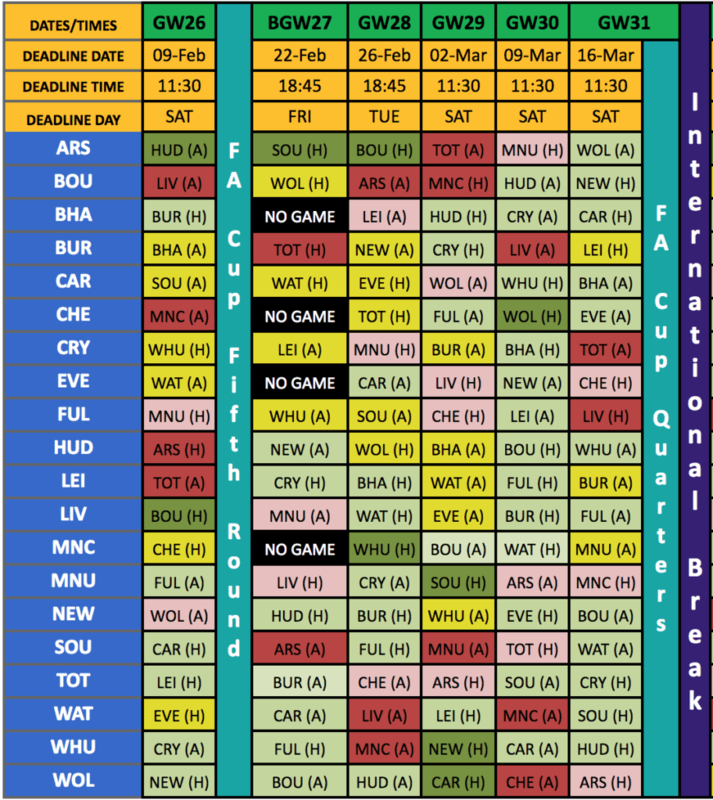 We have to have an eye on the blanks ahead in GW27 of course, and to that end we are without Digne, Sane and Aguero for that one as we stand. 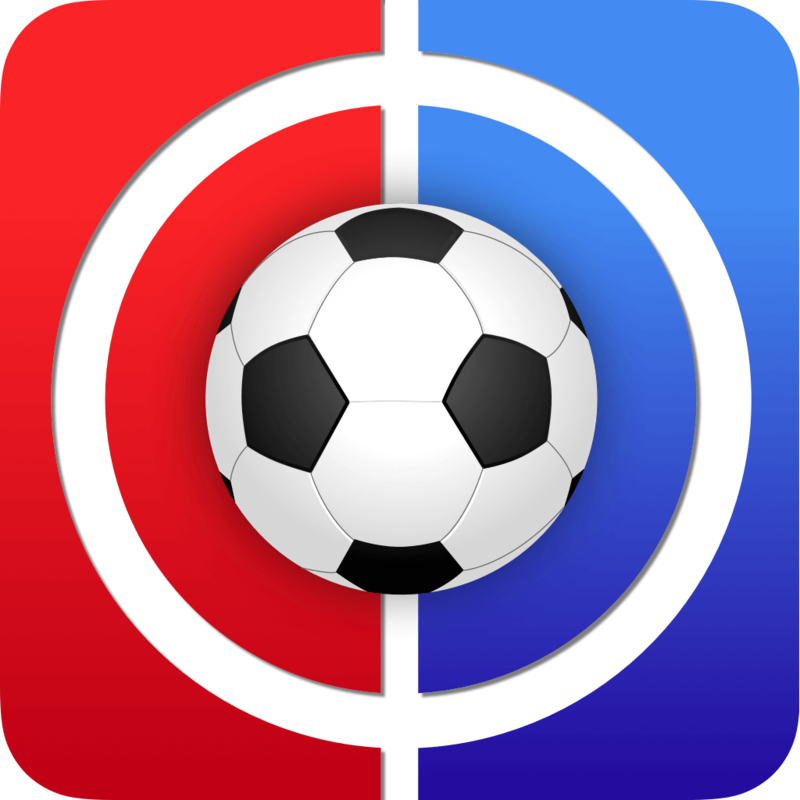 Let’s go see how we plan to juggle that with the need for actual points this week…. It was a fairly simple and unanimous decision this week, there are no tales of incompetence or internal struggles to regale you with this week, unfortunately. As much as Aguero was a welcome addition last week, and as much as he served his purpose, we are nothing if not ruthless in our pursuit of points and quite simply Aubameyang suits us perfectly this week in that respect, on more than one level. He has the better (arguably the best; see Huddersfield) fixture and he’s a bit of a flat track bully against this sort of opposition; it’s difficult not to offend somebody along the line when you say this but he has 24 points against Fulham and 20 against Cardiff over two games and double digits against Burnley and… Spurs. New recruit PEA was well and truly in the mix here but Mo just edged him by the finest of margins. It could be that Bournemouth’s form against the ‘big 6’ swayed the vote; 8 games, 7 defeats, 22 conceded, and in some of those games heavily so. Or it could be the memory of what Salah did to them last time. 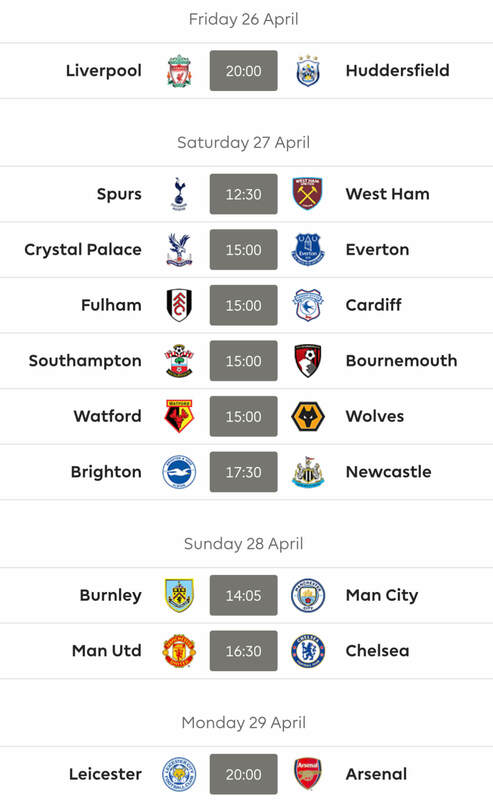 Or it could be that we just think Liverpool may suddenly reawaken and kick on again and that this feels like the sort of fixture in which that may happen. Or it could all just be pie in the (blue) sky thinking. For the record, our one Liverpool fan voted for Aubameyang! Afternoon everyone, here’s my team. Did Hazard to Son before his first price rise and, with one FT left, I’m looking to do Richarlison to Mane which should leave £0.6m in the bank. Does that sound like a plan? 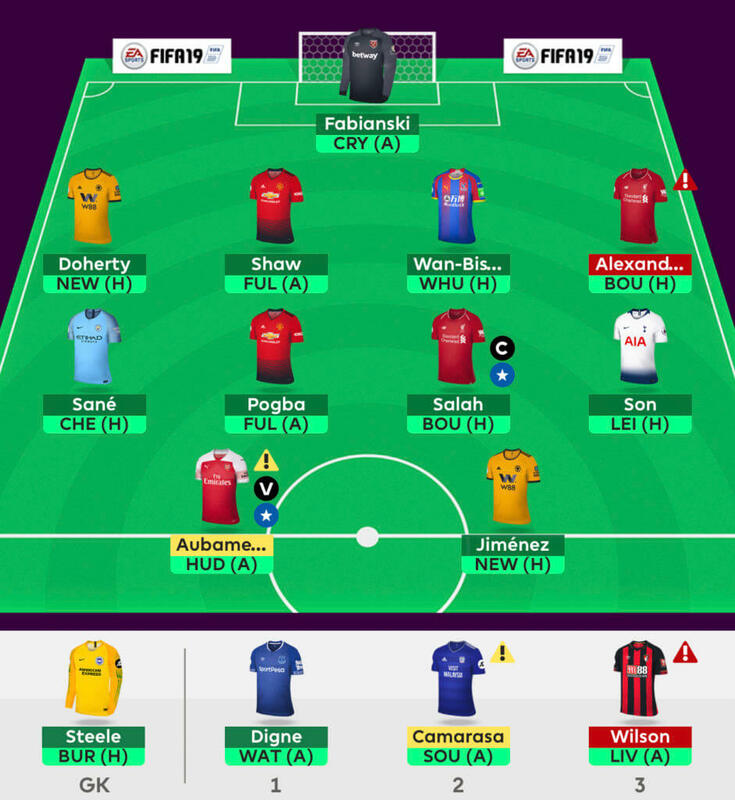 I did contemplate Aguero to Aubameyang for a -4 but with the Arsenal player being a doubt (albeit a slight one), I won’t take the risk – can always make the move next gameweek. Your thoughts would be much appreciated! Rich to Mane sounds like a very logical move. No need for a -4. Team is nicely set up for GW27. I like this move! I’m actually a little jealous as I’d like him but with 3 pool already it’s not as easy! Your team as a whole looks great! Haha, it’s funny you’ve mentioned Jiminez actually, bud, a thought I’ve got for GW28 is to do Kamara and Fraser to Puncheon and Jiminez a and change the formation to 3-4-3. Certainly something to think about. I just did Richarlison to Mane for a hit! 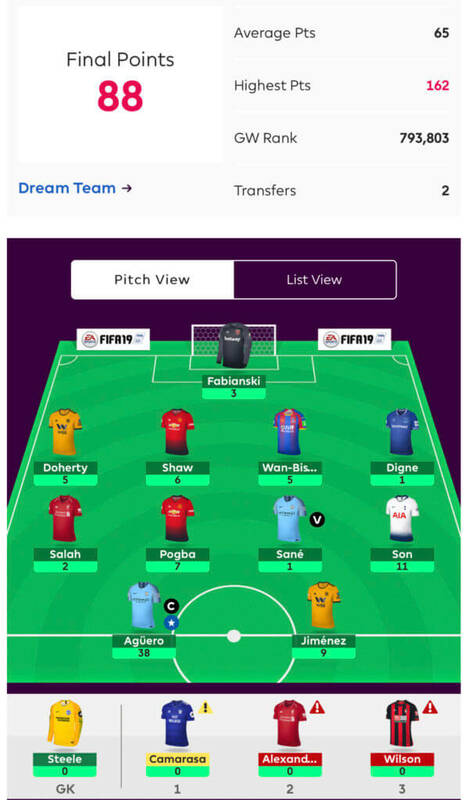 I confess I’m probably taking hits too easily after a bad gameweek, but I still like the move, so doing that move without a hit looks very solid to me! Guess this is my team for tomorrow. Any changes to be made? Hope TAA starts though. Hey guys, am I good to go? Looks good Gaz. I couldn’t split Moutinho and Richarlison to be honest. Up to you mate I’m afraid. Good luck! Good to go? No transfers, $0.8. Indeed you are Shriz, good luck. Thanks Init, good luck to you!